From Nora Roberts comes the #1 New York Times bestseller Shelter in Place a powerful tale of heart, heroism...and propulsive suspense. It was a typical evening at a mall outside Portland, Maine. Three teenage friends waited for the movie to start. A boy flirted with the girl selling sunglasses. Mothers and children shopped together, and the manager at the video-game store tending to customers. Then the shooters arrived. The chaos and carnage lasted only eight minutes before the killers were taken down. But for those who lived through it, the effects would last forever. In the years that followed, one would dedicate himself to a law enforcement career. Another would close herself off, trying to bury the memory of huddling in a ladies' room, hopelessly clutching her cell phone--until she finally found a way to pour her emotions into her art. But one person wasn't satisfied with the shockingly high death toll at the DownEast Mall. And as the survivors slowly heal, find shelter, and rebuild, they will discover that another conspirator is lying in wait--and this time, there might be nowhere safe to hide. Do vampires really exist? Robert Ferguson believes his wife is one! 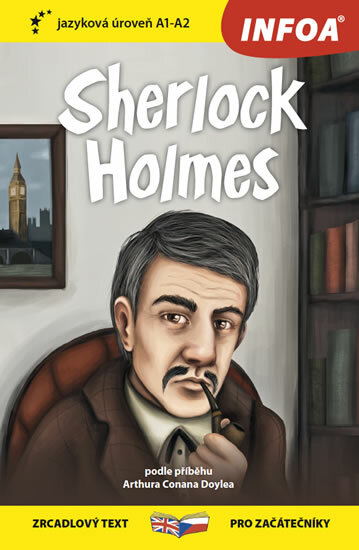 Will the famous detective Sherlock Holmes and his friend Dr Watson explain her strange behaviour? Or are they facing a real vampire? Opravdu existují upíři? Robert Fergusson věří, že jeho žena jím skutečně je! Dokáže slavný detektiv Sherlock Holmes a jeho přítel doktor Watson vysvětlit její podivné chování? Nebo se setkávají se skutečným upírem? A spectacular father/son collaboration like no other, Stephen King and Owen King tell the highest of high stakes stories: what might happen if women disappeared from the world of men? In this spectacular father/son collaboration, Stephen King and Owen King tell the highest of high-stakes stories: what might happen if women disappeared from the world of men? All around the world, something is happening to women when they fall asleep; they become shrouded in a cocoon-like gauze. If awakened, if the gauze wrapping their bodies is disturbed, the women become feral and spectacularly violent... In the small town of Dooling, West Virginia, the virus is spreading through a women's prison, affecting all the inmates except one. Soon, word spreads about the mysterious Evie, who seems able to sleep - and wake. Is she a medical anomaly or a demon to be slain? The abandoned men, left to their increasingly primal devices, are fighting each other, while Dooling's Sheriff, Lila Norcross, is just fighting to stay awake. Human trafficking and inhuman terrorism - the fourth instalment in Peter May's critically acclaimed series THE FOURTH CHINA THRILLER, FROM THE MILLION-SELLING PETER MAY - AUTHOR OF THE RICHARD AND JUDY BESTSELLER THE BLACKHOUSE. SUFFOCATED A vehicle crammed with dozens of dead Chinese immigrants is found in southern Texas. Pathologist Margaret Campbell must put aside her horror, and find out why. SUMMONED Detective Li Yan - an even more unwelcome memory for Campbell - has arrived stateside to investigate a link in the case to a lucrative trade in illegal labourers. SNAKEHEAD Li and Campbell will soon find that the crime scene hides another secret: a biological time bomb linking traffickers, politicians and migrants in Beijing, Washington and Texas - posing multiple countries one, very singular, threat. The fourth electrifying thriller in the Kathryn Dance series from master of suspense Jeffery Deaver. One mistake is all it takes. Busted back to rookie after losing her gun in an interrogation gone bad, California Bureau of Investigation Agent Kathryn Dance finds herself making routine insurance checks after a roadhouse fire. But Dance is a highly trained expert in body language: her most deadly weapon is her instinct, and they can't take that away from her. And when the evidence at the club points to something more than a tragic accident, she isn't going to let protocol stop her doing everything in her power to take down the perp. Someone out there is using the panic of crowds to kill, and Dance must find out who, before he strikes again . . .
Dvojjazyčné vydání Shakespearových Sonetů s překladem Martina Hilského, který za něj získal cenu Josefa Jungmana za rok 1998. Svazek začíná Hilského studií, která má tři části: Text a kontext, Literární geneze, Čtení, interpretace, překlad. Následují anglický originál Sonetů a jejich český překlad, které jsou uspořádány na stránkách proti sobě a opatřeny poznámkami pod čarou. Anglické poznámky fungují jako malý shakespearovský slovníček, české poznámky upozorňují čtenáře na klíčové souvislosti. Svazek uzavírá Index of Sonnet First Lines, Rejstřík prvních veršů sonetů a soupis České překlady Shakespearových Sonetů. Perfect for fans of Alone in Berlin by Hans Fallada and The Girl Who Fell From the Sky by Simon Mawer - tightly plotted, emotionally gripping and a brilliant sense of place and period. Berlin, 1946. Everything is in short supply. Including the truth. When a young woman, Eva, arrives at Kasper's door seeking the whereabouts of a British pilot, he feels a reluctant sympathy for her but won't interfere in military affairs. But Eva is prepared for this. Kasper has secrets, she knows them, and she'll use them to get what she wants. As the threats against him mount, Kasper is drawn into a world of intrigue he could never have anticipated. Why is Eva so insistent that he find the pilot? Who is the shadowy Frau Beckmann and what is her hold over Eva? Under constant surveillance, Kasper navigates the dangerous streets and secrets of a city still reeling from the horrors of war and defeat. As a net of deceit, lies and betrayal falls around him, Kasper begins to understand that the seemingly random killings of members of the occupying forces are connected to his own situation. He must work out who is behind Eva's demands, and why - while at the same time trying to save himself, his father and Eva. Slavný román zařazený mezi 100 nejlepších na světě! Byl i námětem pro slavný Coppolův film Apokalypsa. V našem vydání máte možnost si přečíst a poslechnout originální verzi díla opatřenou jazykovými komentáři a literárními poznámkami. Ti z Vás, kteří se necítí v angličtině příliš pevní v kramflecích, si mohou nejdříve přečíst zjednodušenou verzi se zrcadlovým českým překladem.